Now the star quarterback and running back of the Dallas Cowboys need a winning streak, although it won’t have to be as long as the franchise-record run two years ago, the last time they made the playoffs. 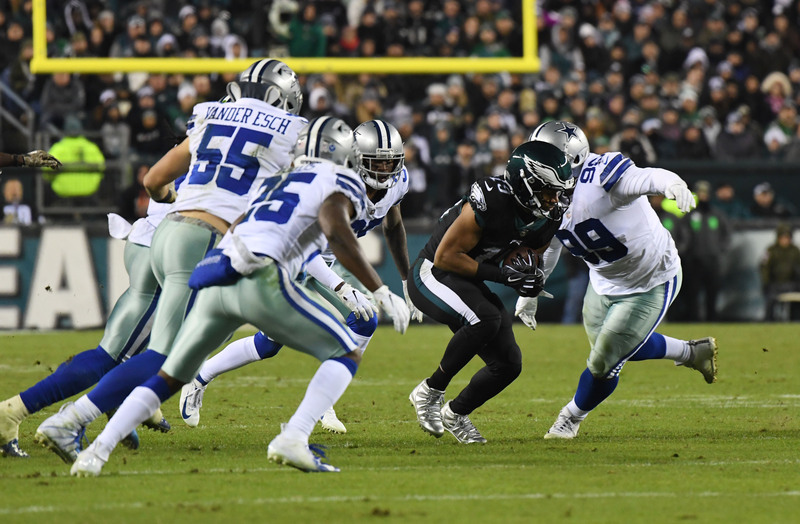 The Cowboys (4-5) were in a desperate spot visiting the defending champion Eagles because of an up-and-down season notable for its struggles on offense. Now that they have their first road win, they have to do it again Sunday at Atlanta (4-5). 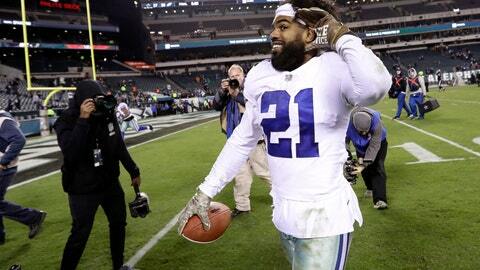 Dallas and Philadelphia trail NFC East-leading Washington by two games with seven remaining. The Cowboys have one more game against each rival, having lost to the Redskins on the road. Against Philadelphia, coach Jason Garrett dumped a conservative approach that was costly in a couple of losses by planning to go for it on fourth down in Dallas territory on the first play of the second quarter before a false start aborted that bold move. The Cowboys faked a punt later in the quarter, which led to Elliott almost cleanly hurdling Tre Sullivan before a stumble on a clear path to the end zone forced Dallas to settle for a field goal. At the time, it sort of symbolized the season for an inconsistent offense. Still, Elliott had 151 yards rushing and a touchdown, with another 36 yards receiving and a score. Prescott’s line looked similar to 2016 as well: 270 yards passing, no turnovers and a 100-plus rating. The 2016 NFL Offensive Rookie of the Year led two 75-yard drives to touchdowns in the fourth quarter, both of them answers to tying TDs from the Eagles. Elliott finished off each of them after big plays to several receivers along the way. The Cowboys ran off 11 straight wins when Prescott and Elliott were rookies on the way to an NFC-best 13 wins. Dallas slipped to 9-7 and out of the playoffs last season with a deteriorating performance from the offense. The receivers have struggled without Dez Bryant, released in the offseason, but appear to be benefiting from the trade for Amari Cooper, acquired from Oakland for a first-round pick. Injuries and mistakes in an offensive line that has been one of the NFL’s best in recent years have at times made things difficult for Elliott and contributed to Prescott already matching last year’s career high of 32 sacks barely more than halfway through the season. But that line stood out against the Eagles. NOTES: Garrett said he received a “favorable report” on RG Zack Martin, who missed part of the Philadelphia game when he aggravated the left knee injury he’s been battling since hyperextending the knee in the preseason. … LG Xavier Su’a-Filo had a solid game filling in for injured rookie Connor Williams, who had arthroscopic knee surgery last week. Garrett said the team hasn’t made any determinations on who would start when Williams is ready to return.